LegalVault is an online file hosting service where registered users can store their important documents such as a will or medical records, and can be retrieved easily from anywhere. It is similar to Dropbox or Box.net but with one specific purpose: storing legal documents. These legal documents stored in LegalVault can be retrieved from anywhere as long as the user can sign in to the application and request a download link. Authorities such as emergency services person or police officer can view details stored for the users in the event that something ominous happened to the user. I was involved from the beginning of the development phase, designing database and the overall architecture of the application, as well as adjusting and fine-tuning the application based on the requirements. The application is built using ASP.NET with LINQ to SQL instead of Entity Framework due to compatibility issues with the custom CMS architecture.Due to the nature of the documents stored in the vault, LegalVault is built with security in mind (security by design). Users are tightly tied to their registered email address and they can only retrieve their own files through a one-time use retrieval link, which can only be requested through the application itself. Due to the nature of the documents stored in the vault, LegalVault is built with security in mind (security by design). Users are tightly tied to their registered email address and they can only retrieve their own files through a one-time use retrieval link, which can only be requested through the application itself. 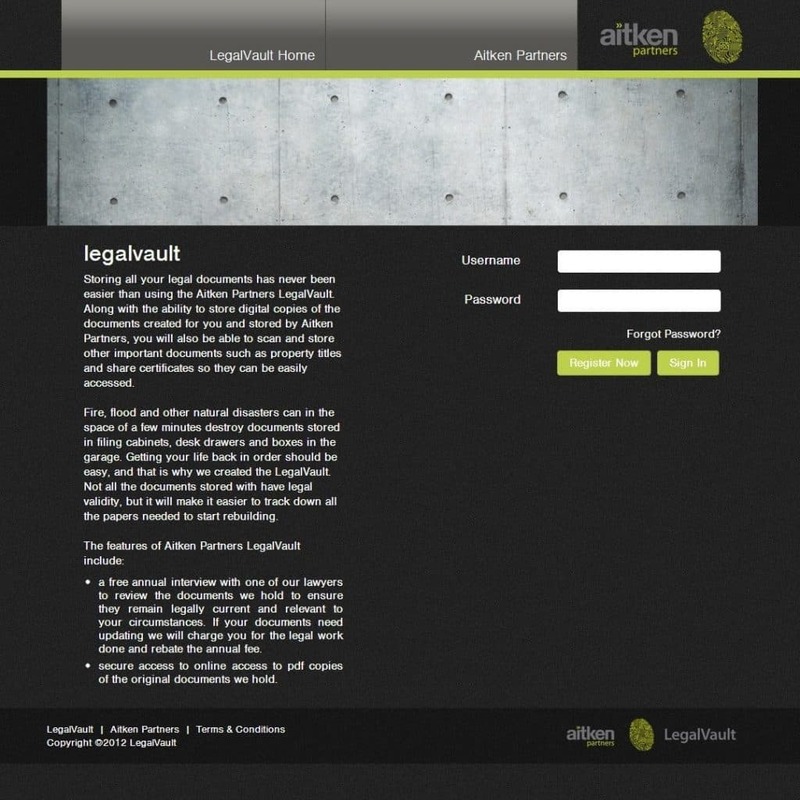 LegalVault development was completed in September 2012 and was launched in 2014.